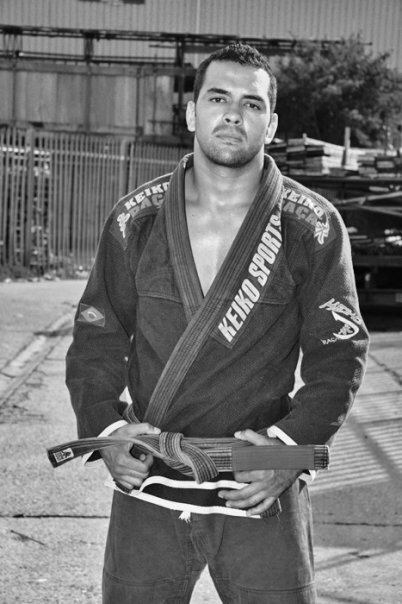 Ricardo Da Silva has been training Brazilian Jiu-jitsu for over 17 years. He started under the instruction of Fabio Gomes in Guarulhos near to his home in Sao Paulo who at the time was an instructor under Rocian Gracie. Ricardo spent the next six years training under Fabio and Rocian gaining both his blue and purple belts in the process at the same time earning his nickname ‘Onca’ for his relentless and aggressive style, never tiring and always ready to roll. Training at Fabio’s gym would often consist of two to three sessions a day, six days a week. Ricardo started his own classes at the Sleeping Storm Dojo in Epsom and at the London School of Economics in Holborn. Ricardo was awarded his Brown belt by Fabio Gomez, a black belt himself under Rocian Gracie. Ricardo was then awarded his black belt from Nova Forca’s head instructor Antonio Damasceno with Fabio Gomez and Mario Veio in attendance. Are you interested in taking a private class? We provide the opportunity of taking private lessons with our great instructors, don’t hesitate, if you are interested then give us a call on 0137 2879 144 to book for a session.